Home American Art Blogs Fine Art Fine Art Blogger Fine art Blogger in India Jr. Painting blogger Painting Blogger in India Paintings Paintings Blogger U.S. William J. Kalwick Gorgeous Paintings By William J. Kalwick, Jr.
Gorgeous Paintings By William J. Kalwick, Jr.
William Kalwick’s art was greatly influenced by his late father who had studied with Lajos Markos, a prominent portrait painter. Kalwick studied with his father until graduating. He then attended the Arts Student League of New York. In 1981, Kalwick moved to Houston, Texas to become the protégé of Lajos Markos. The two made numerous trips to Europe, especially Italy, where Kalwick experienced first hand the country's long tradition of powerful images. In a profile in Focus/Santa Fe magazine, Kalwick was quoted as saying, “I started with a strong European influence, and now I see my style changing.” In addition to Markos, he credits other influences to Sorolla, Repin, Zorn, Serov, and Sargent -- all artists noted for their expressive works. Kalwick’s paintings cover a wide range of subject matter. 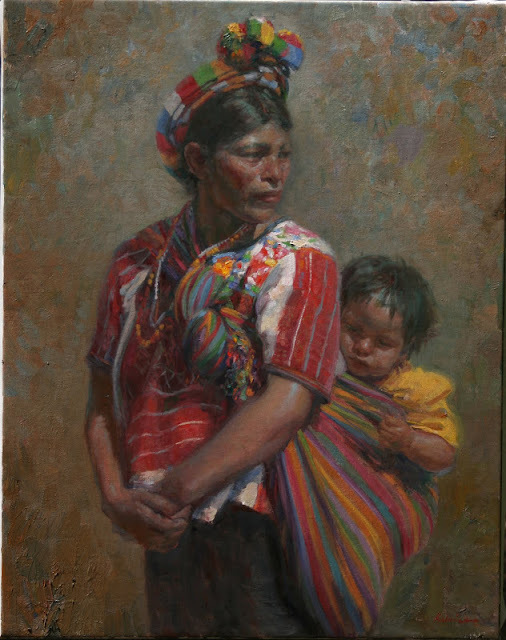 However, he is best known for his Mexican market scenes, figurative work, and portraits. Recent portrait commissions include Harold Hook, retiring CEO of American General Corp.; Reese Jones, international golf course designer; and Paul Merriman, retiring CEO of Hisco Corp. In 1998, Kalwick was honored for the second time with a one-man show sponsored by the United States Embassy at the Museo Ixchel in Guatemala City. 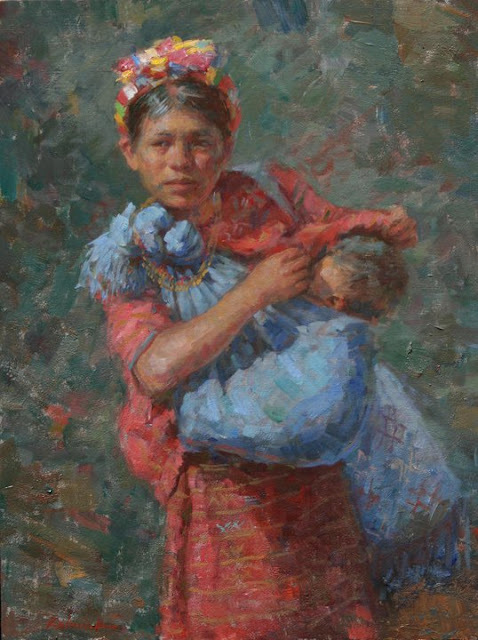 In March 1999, Southwest Art magazine featured Kalwick’s work on the cover and elaborated upon his style in an article titled “Guatemala Days.” He also was featured in Art of the West magazine in the July/August 2000 issue. 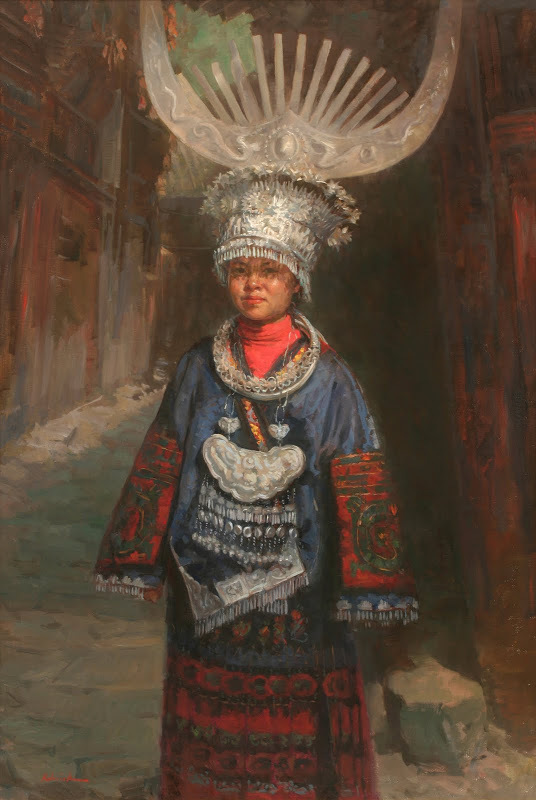 Kalwick’s portrait painting was featured in Southwest Art magazine in the November 2001 issue. Kalwick has participated in many shows including the Masters of the American West at the Autry Museum in Los Angeles, California; the Prix de West at the National Cowboy and Western Heritage Museum, as well as the annual Gilcrease Museum show. Kalwick’s paintings hang in collections throughout North America and Europe. 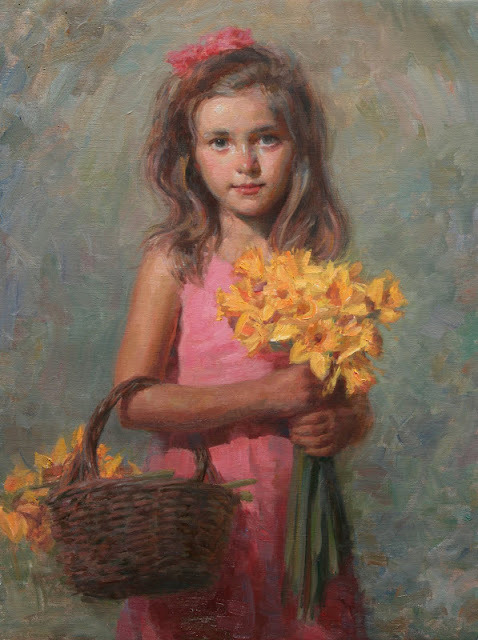 He is represented by the following galleries: Wadle Gallery, Santa Fe, New Mexico; Texas Art Gallery, Dallas, Texas; Shoal Creek Gallery, Austin, Texas; Wilcox Gallery, Jackson, Wyoming; Trailside Gallery, Scottsdale, Arizona; Sylvan Gallery, Charleston, South Carolina; and Galerie Gabrie, Pasadena, California.